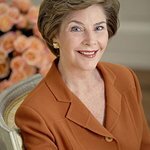 Best-selling author, philanthropist, educator and former First Lady of the United States Laura Bush will speak at the 2018 NAFSA Annual Conference & Expo in Philadelphia, Pennsylvania. Mrs. Bush is a powerful advocate for literacy, education and human rights, and she will address the conference on Tuesday, May 29. As First Lady, Mrs. Bush advocated for the importance of literacy and education to advance opportunity for America’s young people and to foster healthy families and communities. She highlighted the importance of preparing children to become lifelong learners, convening in 2001 a White House Summit on Early Childhood Cognitive Development and creating the National Book Festival in Washington, D.C.
Today, as Chair of the Bush Institute’s Women’s Initiative, Mrs. Bush promotes access to education, healthcare and economic opportunity for women and girls around the world. The Women’s Initiative programs are preparing and empowering the next generation of women leaders in North Africa and the Middle East, working to ensure the expansion and protection of women’s rights in Afghanistan and engaging and supporting First Ladies from around the world to effectively use their unique platforms to advance issues for women and girls in their countries. 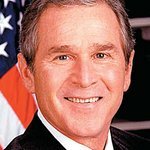 Mrs. Bush is the author of the bestselling memoir, Spoken From the Heart, and bestselling children’s book, Our Great Big Backyard. She also wrote the forward to We Are Afghan Women: Voices of Hope. Born in Midland, Texas, she holds a Bachelor of Science degree in education from Southern Methodist University and a master’s degree in library science from the University of Texas. This plenary session featuring Mrs. Bush is sponsored in part by Education in Ireland. Learn more about all the plenary speakers here.